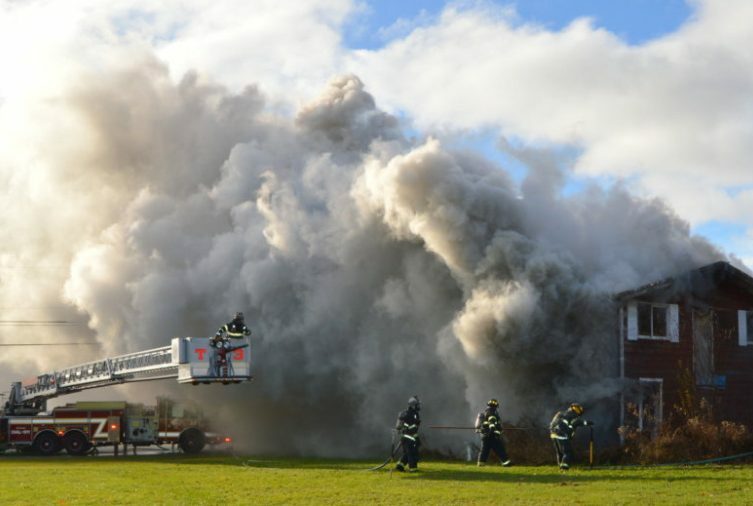 FARMINGTON — A home at 167 Morrison Hill Road was destroyed Friday morning in a fire with an unknown cause, according to the fire chief. The fire was reported around 8:20 a.m. by the owner, Holliss Radcliffe, who was able to get out of the two-story home safely and escape injury, Farmington Fire Chief Terry Bell said. Radcliffe does not have insurance but does have relatives in the area, Bell said. The American Red Cross was also at the scene. Because of the extensive damage, Bell said, officials will not be able to determine the fire’s cause. It appears to have started around the chimney, he said. Firefighters got the flames under control in about an hour and a half, and had just finished cleaning up the scene at 11:30 a.m. The Farmington Fire Department received assistance from the Wilton, Jay, Temple, Strong and Chesterville fire departments.